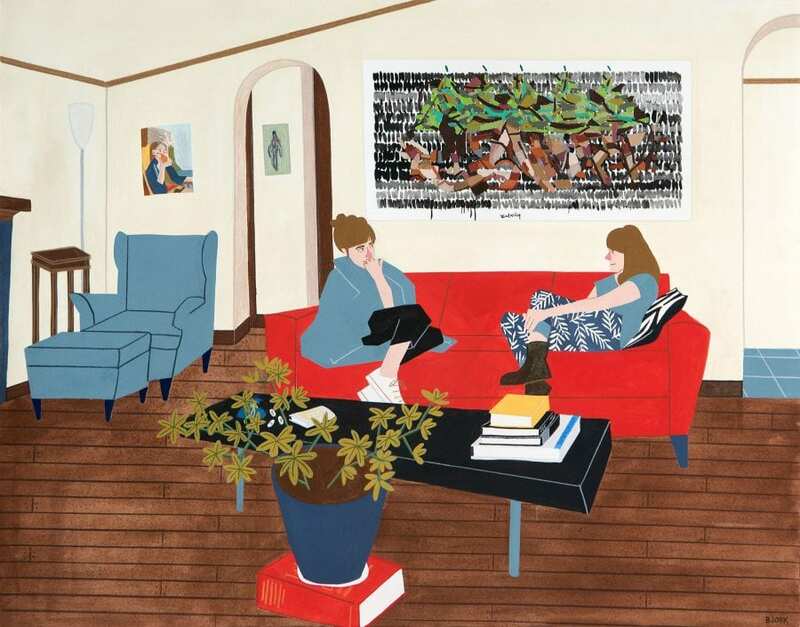 Kelly Bjork is an artist whose work focuses on portraiture and intimacy between friends and belongings. She grew up in Tacoma, Washington and graduated from Western Washington University in 2009 with a BFA in drawing and printmaking. Her work has been published in numerous magazines and online journals including McSweeney’s, The Stranger, Seattle Met, Fresh Magazine, BOOOOOOOM, and Sixth Finch. Kelly is a card illustrator for Pilgrim Paper Co, a paper goods company based in Seattle, where she currently lives.